jack layton campaign speech in edmonton. NDP leader Jack Layton was in Edmonton on Saturday, March 26, delivering the message that only his party can defeat Conservative MPs in the city. 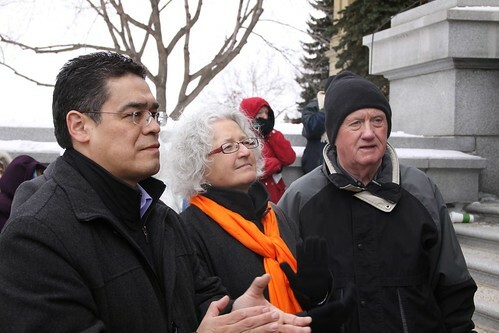 The NDP are focusing their resources in the region on the campaigns of Edmonton-Strathcona MP Linda Duncan, Edmonton-Centre candidate Lewis Cardinal, and Edmonton-East candidate Ray Martin. This entry was posted in Alberta Politics and tagged Jack Layton, Lewis Cardinal, Linda Duncan, Ray Martin on March 29, 2011 by Dave Cournoyer. here’s the rundown – federal election races to watch in edmonton. In the land where federal election results are typically much ado about nothing, the election scheduled for May 2, 2011 is not much of an exception. As the Liberals and NDP fill ballots across the province with last minute paper candidates, with few exceptions Alberta remains safe electoral territory for the Conservative Party of Canada. If any riding in Alberta changes hands in this federal election, it will be Edmonton-Strathcona. 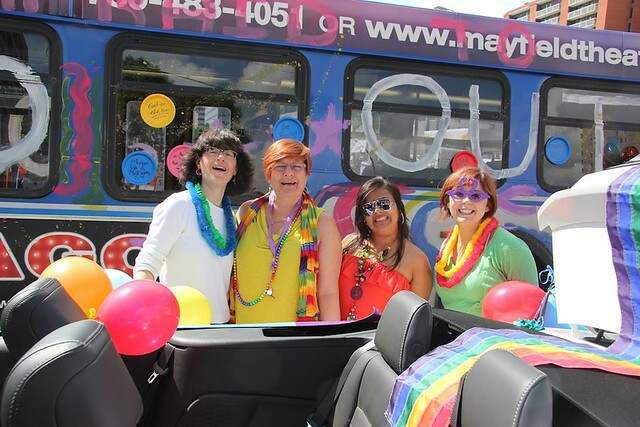 It is the only riding represented by an opposition Member of Parliament and Conservatives have made it their goal to unseat NDP MP Linda Duncan, who defeated Conservative MP Rahim Jaffer by a slim 463 votes in 2008. After campaigning for two years, the Conservatives hope that candidate Ryan Hastman is the one who can do the job. As the NDP’s Environment Critic in Ottawa, Ms. Duncan has gone against the grain of other Alberta MP colleagues by criticizing the oil sands and its impact on the environment. 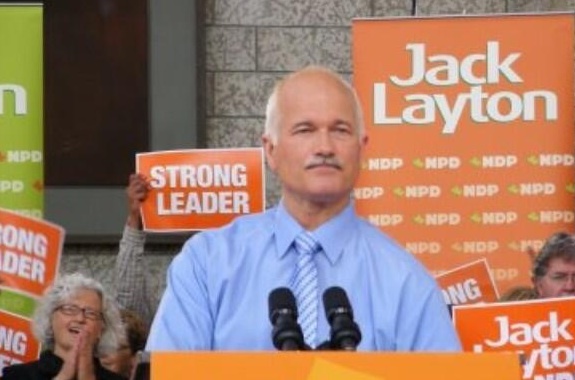 In a campaign stop in Edmonton this weekend, NDP leader Jack Layton only briefly mentioned the environment, suggesting that he may have been avoiding the issue while in Alberta (he also did not take media questions while in the province). The Green Party has nominated Environmental Economics and Policy student Andrew Fehr, who faces the challenge of convincing Green-leaning voters that actually voting for a Green Party is a better choice than a strategic vote for Ms. Duncan. The Liberals have not yet nominated a candidate and appear to be a non-factor in this contest. The highly polarized geopolitics of this riding have the Conservatives drawing strong support from polls in the east and NDP drawing strong support from polls in the west. Both candidates will lean heavy on financial and organizational support from their national parties, making this riding too close to call. The irony is that the NDP could increase their vote total across Edmonton at the same time they could lose the only riding they currently hold. 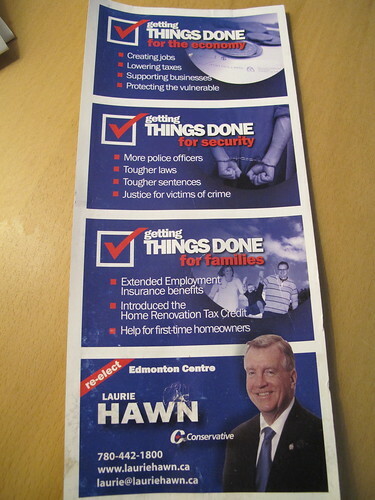 In Edmonton-Centre the real contest to watch is not to defeat door-knocking/hand-shaking/baby-kissing election-machine Conservative MP Laurie Hawn. The real contest is for second place. The Liberals hope their candidate Mary MacDonald can regain the support they lost in the last election and maintain their position as the de facto alternative to the Conservatives in this riding. The NDP are hoping that their candidate Lewis Cardinal can help build the kind of support needed to cut the Liberals down to third place. 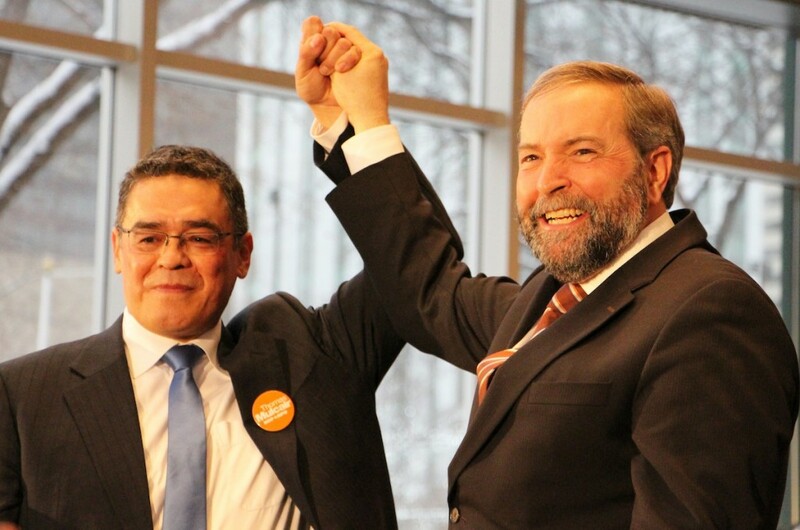 This is similar to the multi-election strategy that helped the NDP make gains in Strathcona. The Liberals held this riding from 1993 until 2006 when Mr. Hawn defeated Deputy Prime Minister Anne McLellan. Mr Hawn’s vote share decreased in 2008 while his margin widened substantially as the Liberal vote collapsed. The Greens have nominated 2008 candidate David Parker and also running is Mikkel Paulson, leader of the Pirate Party of Canada. Edmonton-East MP Peter Golding is what I would refer to as a wall-paper backbencher. 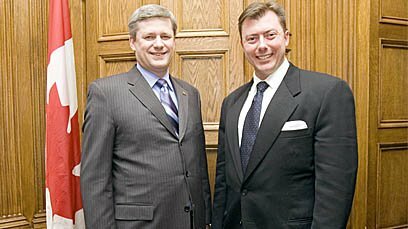 Since he was first elected in 1997, Mr. Goldring seems to only pop into the media spotlight when taking up odd causes like exposing the “truth about Louis Riel” or joining the bizarre drive to get the obscure Caribbean Islands of Turks and Caicos to join Canada. 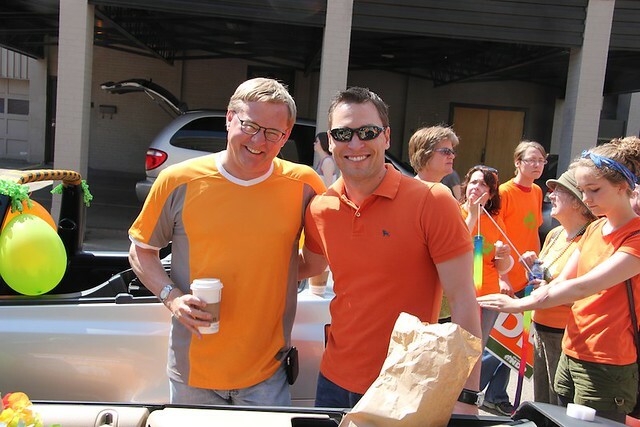 The NDP have steadily increased their support in this riding since the 2004 election and former MLA Ray Martin is hoping that this trend continues. 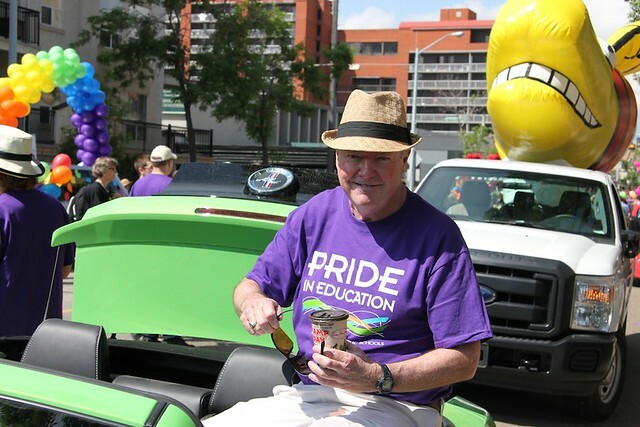 Mr Martin is an NDP institution in northeast Edmonton, having been elected as an MLA from 1982 to 1993, a public school board trustee from 2001 to 2004, and once again as an MLA from 2004 to 2008. This is the fourth time Mr Martin has sought a seat in Parliament since 1997. The Liberals have nominated IT management consultant Shafik Ruda. Edmonton-Sherwood Park was the second closest race in 2008, when Independent Conservative James Ford nearly defeated Conservative candidate Tim Uppal. It was a city mouse versus county mouse game as many voters in Strathcona County and Fort Saskatchewan were upset with the Conservative nomination process that led to County Councillor Jacquie Fenske defeat and allowed Edmontonian Mr. Uppal to win the nomination. Mr. Ford is running again and the Liberals and NDP, represented by Rick Szostak and Mike Scott, are expected to play minor supporting roles in this contest. The big question is whether voters in the county still feel that Mr. Uppal’s candidacy is the great injustice they believed it to be in 2008. This entry was posted in Alberta Politics and tagged Andrew Fehr, Anne McLellan, Jack Layton, Jacquie Fenske, James Ford, Laurie Hawn, Lewis Cardinal, Linda Duncan, Louis Riel, Mary MacDonald, Mike Scott, Mikkel Paulson, Peter Goldring, Rahim Jaffer, Ray Martin, Rick Szostak, Ryan Hastman, Shafik Ruda, Tim Uppal on March 27, 2011 by Dave Cournoyer. 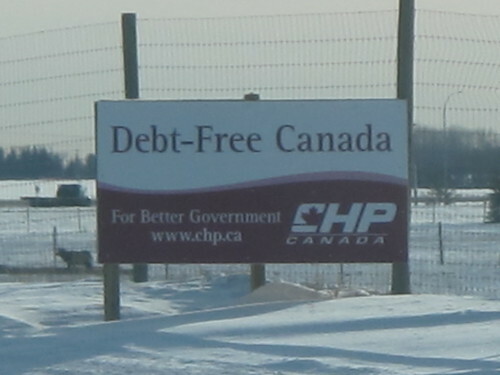 canada’s 2008 federal election: 365 days later. One year ago today, just over 50% of Albertans made their way to the polls to vote in the 2008 Canadian Federal Election. While just over two years since the previous election, last October saw some Edmontonians (and Strathconans) paint their electoral map with a little more diversity of colours (even if it only resulted in one actual change in electoral representation). A year out, here is a look at some of the more interesting ridings from 2008 and what the electoral races may shape up to look like in the next election. I expected closer results in this riding during the last election, but if only one thing were clear about the 2008 election, it is that the Liberals under Stephane Dion had zero momentum in western Canada. 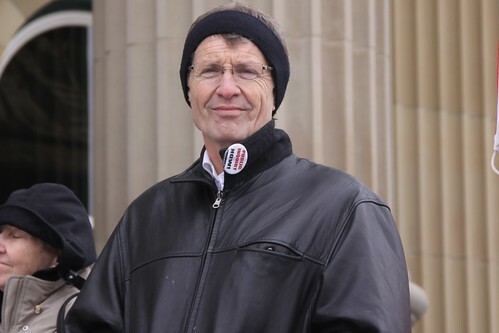 After narrowly defeating Liberal MP Anne McLellan in 2006, a low voter turnout allowed Conservative Laurie Hawn to widen his margin of victory into a comfortable lead in 2008 when facing off against consumer advocate and Liberal candidate Jim Wachowich (the total voter turnout dropped by over eleven thousand votes and over 9,000 Liberal voters stayed home, dropping that party’s support by over 9,000 votes between 2006 and 2008). This riding has been the focus of both Reform/Canadian Alliance/Conservative and Liberal resources since 1993 and the prospect of three strong candidates in the next election could make this Edmonton riding a centre of attention once again. Hawn is a strong campaigner, but he is now facing two hard working challengers who have already began campaigning door-to-door. 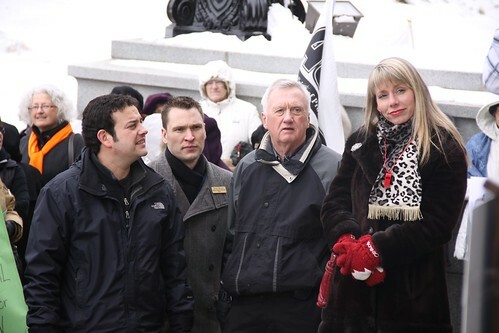 Liberal Mary MacDonald is a lawyer, Ph.D., former Deputy Chief of Staff to McLellan, and former provincial Liberal candidate. 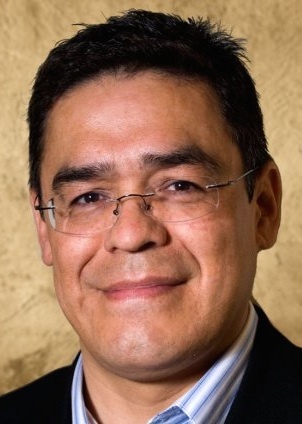 New Democrat Lewis Cardinal is an educator, activist, and former candidate for City Council. Some people will inevitably bemoan the potential for vote-splitting between the two main challengers, but I am looking forward to watching three strong candidates make this riding competitive in the next election. If Edmonton-Centre becomes home to a serious three-way race, I would wager that anything could happen. 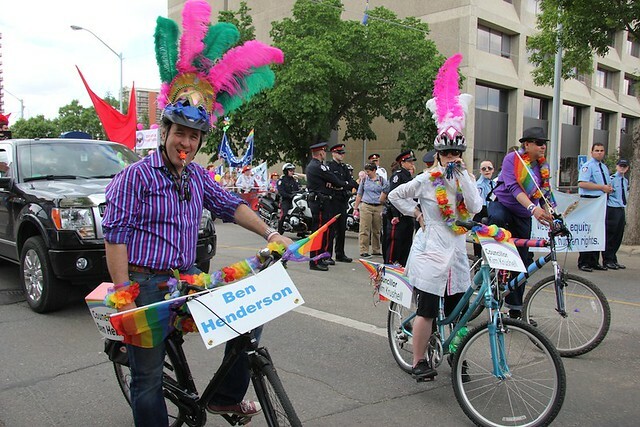 This riding could be one to watch in the next election. With the collapse of the Liberal-vote in 2008 (likely caused by the previously mentioned Dion-factor and the last minute withdrawal of candidate Jim Jacuta), former MLA Ray Martin was able to capitalize and boost the NDP vote by 13% to a solid second place finish. The riding has been represented by MP Peter Goldring since 1997, but the eclectic collection of citizens in this riding supported NDP MP Ross Harvey in 1988 and Liberal MP Judy Bethel in 1993. 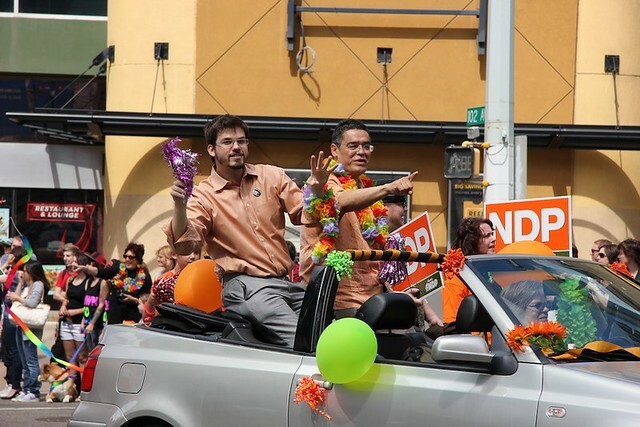 Although Goldring has perfected the art of invisibility as a backbench MP, he still hold an incumbency advantage and I wouldn’t underestimate Martin, who has once again been nominated as the NDP candidate in the next election. 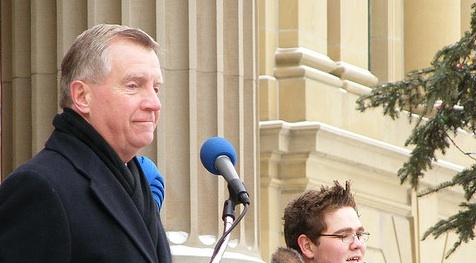 A seasoned elections veteran, Martin’s political drive has led him to be elected the MLA for Edmonton-Norwood from 1982 to 1993, Edmonton Public Schools Trustee from 2001 to 2004, MLA for Edmonton-Beverly-Clareview from 2004 to 2008, and Leader of Alberta’s Official Opposition from 1986 to 1993. I have also heard that along with Edmonton-Strathcona, the NDP are planning to focus much of their resources on this riding, which was their second strongest Alberta finish in 2008. In 2008, Independent conservative James Ford rode a strong wave of Strathcona County-concentrated discontent after a shady Conservative nomination process chose former Edmonton-Mill Woods-Beaumont candidate Tim Uppal over local favorite Jacquie Fenske. Ford’s strength led this riding to the second closest results in the province, but I wonder whether a second run by Ford would result in the same level of discontent. This has been a strong conservative riding and includes areas that are represented on a provincial level by Premier Ed Stelmach and Finance Minister Iris Evans. If the voters in this riding are now less offended by the internal party shenanigans than they were a year ago, I would imagine that they will return to a traditional Conservative voting pattern. A year ago today, NDP candidate Linda Duncan edged out long-time Conservative MP Rahim Jaffer in a close election race. 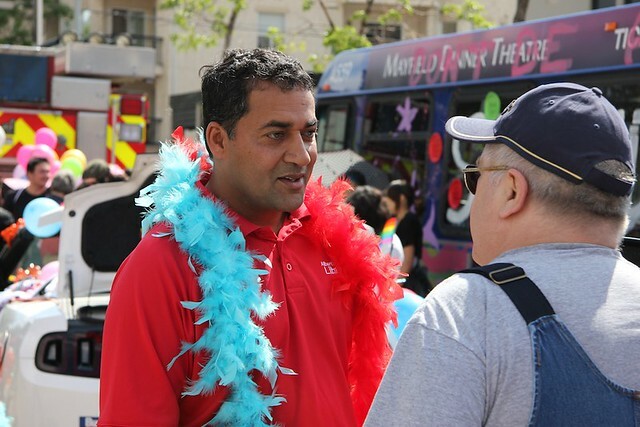 Initially planning a comeback, Jaffer is now dealing with some personal issues in Ontario and the Conservatives have nominated Ottawa insider Ryan Hastman as their standard bearer. Both candidates and their teams have been busy canvassing door-to-door over the summer months in this extremely geo-politically polarized riding (as you can see by the poll results from the map above). Since the last election, a number of people have noted to me that Duncan has become somewhat of a ghost in Edmonton. I will give Duncan the benifit of a doubt that she is still mounting the learning curve that all elected officials face during their first couple years in office, but I am sure that Hastman’s campaign will focus on this point. Expect a flood of resources and high-profile MP visits to the riding from both the NDP and Conservatives to continue before the next election (NDP leader Jack Layton has visited this riding at least 4-5 times since October 2008). The collapse of the Liberal vote helped vault Duncan to her victory, but it shouldn’t be underestimated how strong her organization and her campaign momentum were in the last election. If she is successful in her next election, she will be the first NDP MP to be re-elected in Alberta’s history. The Liberals have yet to announce a candidate in this riding, but Michael Ignatieff spent the Canada Day long weekend in the riding. This entry was posted in James Ford, Laurie Hawn, Lewis Cardinal, Linda Duncan, Mary MacDonald, Peter Goldring, Rahim Jaffer, Ray Martin, Ryan Hastman, Tim Uppal and tagged James Ford, Laurie Hawn, Lewis Cardinal, Linda Duncan, Mary MacDonald, Peter Goldring, Rahim Jaffer, Ray Martin, Ryan Hastman, Tim Uppal on October 14, 2009 by Dave Cournoyer. 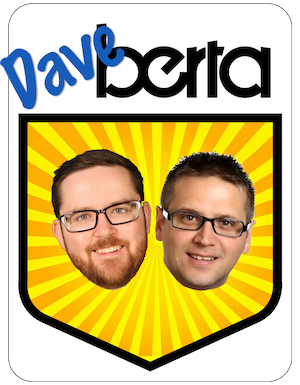 notes from the alberta ndp convention. – Nova Scotia NDP campaign manager Matt Hebb spoke on Friday evening about the electoral situation that led to the current NDP majority government led by Premier Darrell Dexter. I took some notes from Hebb’s talk and will include my thoughts in a future post. – The Democratic Renewal Project has made their presence known at the convention. A policy resolution directing the party leader to initiative public negotiations with the leaders of the Alberta Liberals and Green Party to conclude a tactical electoral alliance has proposed by the Edmonton-Rutherford and Edmonton-Whitemud NDP Associations. It will be debated on Sunday morning and will likely be defeated. – Leader Brian Mason took a direct shot at the DRP in his Saturday afternoon speech to delegates by challenging the assumption that vote splitting is not the reason the NDP does not have more MLAs in the Legislature. Mason announced intentions for the NDP to run a full slate of candidates and a plan to target resources on 12 ridings between now and the next election. 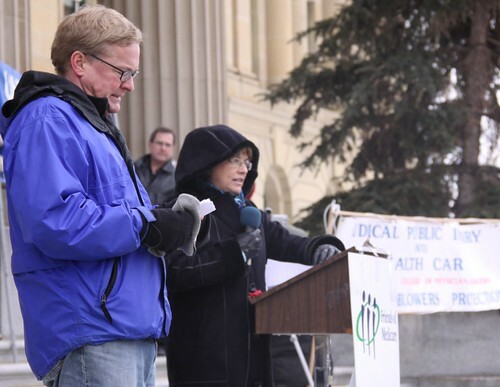 – Mason also announced the NDPs plans to hold a number of health care forums across Alberta starting on September 29 in Calgary and September 30 in Lethbridge. Other forums are expected to be held in Edmonton, Grande Prairie, and Fort McMurray. – Edmonton-Strathcona MP Linda Duncan spoke about NGOs, the environment, and partisan politics at the Olga Blogheim luncheon this afternoon. Attendees included Mason, MLA Rachel Notley, former MLA David Eggen, federal candidate Lewis Cardinal, and provincial candidate Deron Bilous. – According to delegates I’ve spoken to (and blogs I’ve read) there seems to be little movement behind a twitter account and blog supporting Notley to become NDP leader. This entry was posted in Brian Mason, David Eggen, Deron Bilous, Lewis Cardinal, Linda Duncan, Rachel Notley and tagged Brian Mason, David Eggen, Deron Bilous, Lewis Cardinal, Linda Duncan, Rachel Notley on September 13, 2009 by Dave Cournoyer.